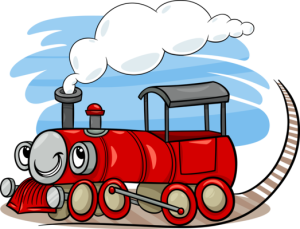 “I think I can, I think I can, I think I can, I think I can!” Do you remember this story, The Little Engine That Could? I love this childhood story and I cannot tell you how many times in my life I have used this phrase. As even children’s characters will attest, a winning mindset is a trait to be sought after. It attracts happiness, health, fulfillment and success. But what is a mindset, really? A mindset is a person’s established set of attitudes that are based on their assumptions. These assumptions then determine a person’s reactions to and interpretations of any event, environment or situation. Whether positive or negative, a person’s mindset is engrained, habitual and affects all aspects of his or her professional and personal life. Is Your Mindset Propelling You Forward or Holding You Back? How a person interprets and answers those questions gives insight into what type of mindset they have. Carol Dweck, a Stanford University psychologist, identifies two general mindsets in her book Mindset. They are: fixed and growth. It’s easy to tell someone to develop a growth mindset, but how can a person really shift and change their own mindset? Below are six ways to begin. Embrace failure instead of avoiding it. The faster the failure, the quicker the learning. Before starting his auto manufacturing company, Henry Ford failed at his first several businesses. What would the industrial landscape look like had he given up after his first try? Remember, embracing failure also means success can arrive that much sooner. Think abundance instead of scarcity. When it comes to spending money on self-improvement, many people get into resistance due to cost. But people are attracted to those who believe in and value themselves. Instead of thinking of personal growth as an expense, re-frame it as an investment in your future and all possible opportunities to come. Embrace challenges. People who have a mindset of “growth” realize that challenges are just opportunities in disguise, and they choose to actively seek them out. Even the most challenging of situations we can learn from. Use setbacks as learning opportunities. No matter what your situation is or how much you have planned, obstacles will surface. We do not have a crystal ball and no one can predict with any real accuracy what type of obstacles and setbacks may occur. Instead of wasting energy trying to prevent the unknown, tackle obstacles using your problem solving skills (there are always at least 3 different options) so that you can grow through the moment. Don’t take it personally. While it can be difficult in the moment, some of the best opportunities for personal and professional growth stem from leveraging harsh criticism and feedback. How well do you listen to the complaints from the people surrounding you in your life? Stop re-inventing the wheel. Instead of resenting others for what they have accomplished, look to them to learn how they did it and turn that to your advantage. Surround yourself by success and grow! Incorporating these simple, strategic shifts in mindset will not only provide opportunity for growth and positive outcomes and results (ie. bottom line), but will also support you in building self-confidence, determination, endurance and action towards productivity and fulfillment! Do you have a mindset tool that helps you grow? Share it here or comment on any of the above strategies and how they have helped you in your life and business.